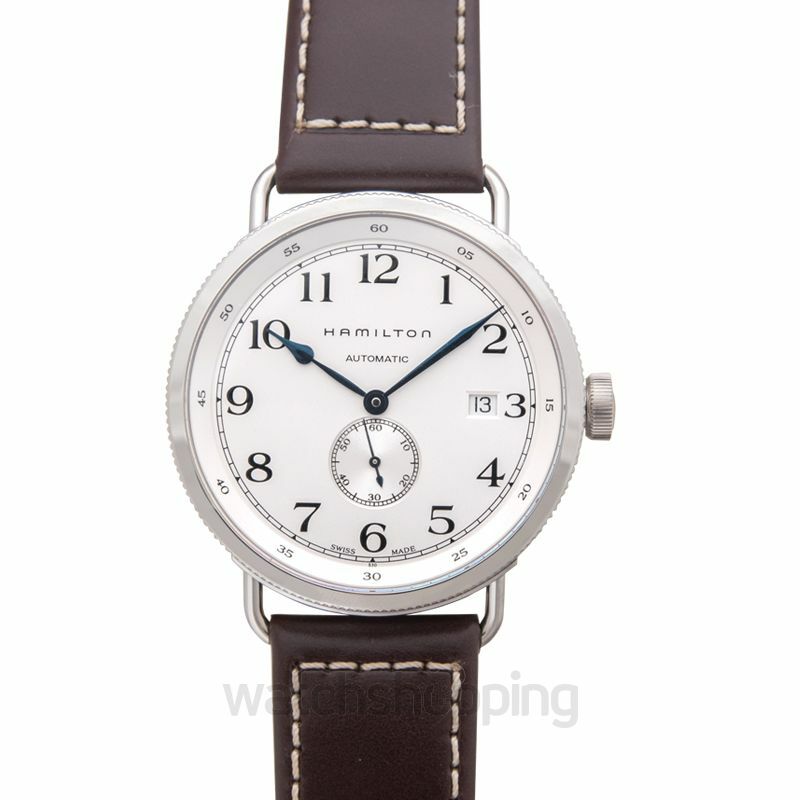 The Hamilton H78465553 is a Navy pioneer category men's watch. 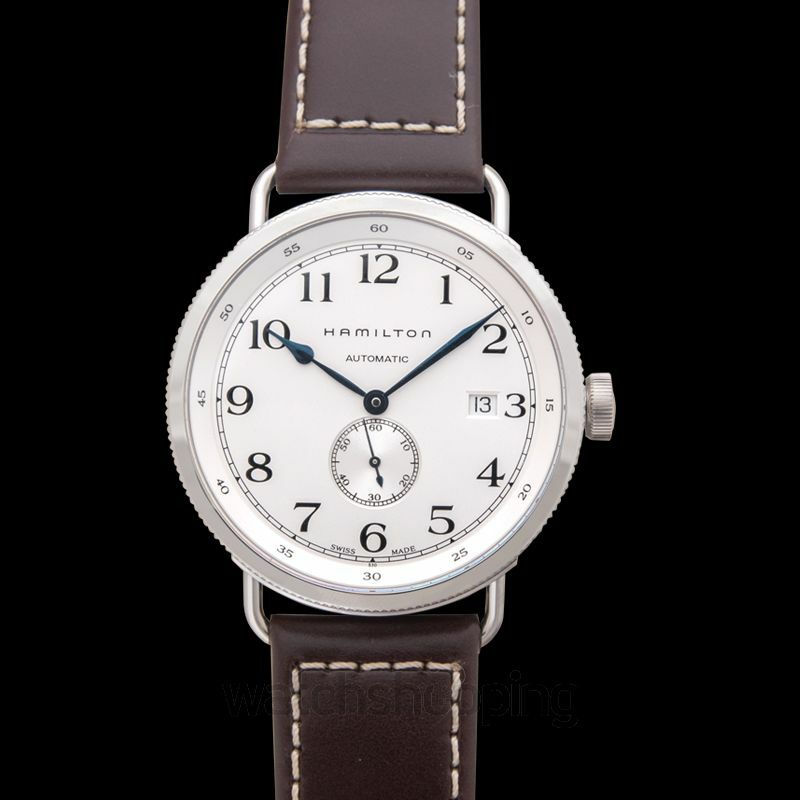 It comes with a silver dial that features blue Arabic numerals as index markers and minute hands in blue as well. 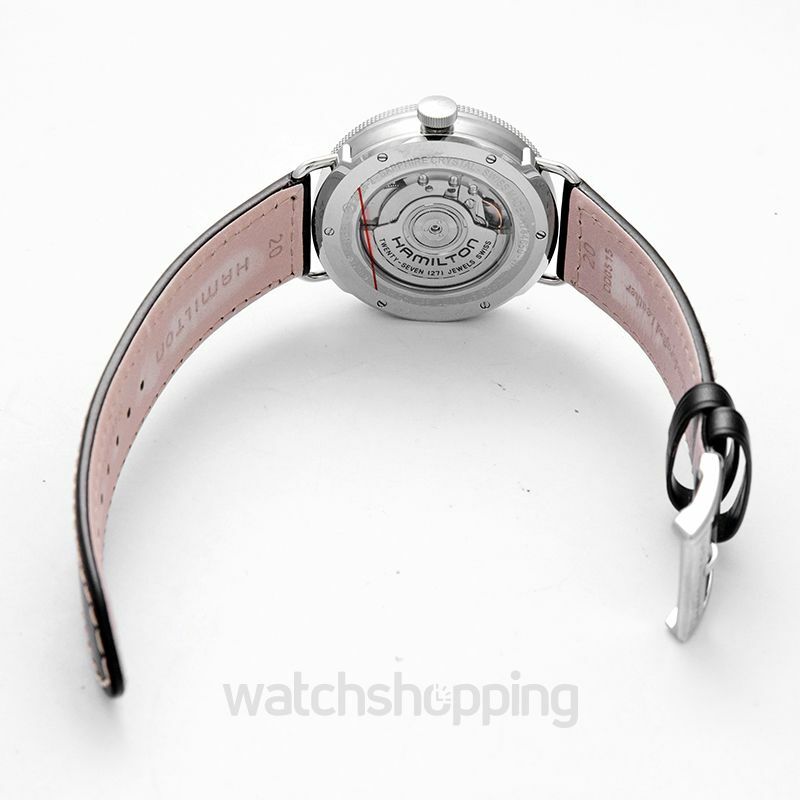 The dial is also incorporated with a sub-dial that is above the 6'o'clock position. There's a date section right beside the 3'o'clock position as well. The watch is finely encased in stainless steel that ensures a durable and tough structure amidst the stresses of environment. The watch glass is protected from reflection and scratches with the sapphire crystals.